Hitch-22: A Memoir: Booktrack Edition adds an immersive musical soundtrack to your audiobook listening experience! 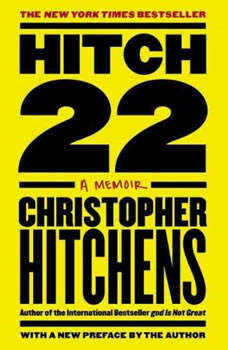 * Over the course of his 60 years, Christopher Hitchens has been a citizen of both the United States and the United Kingdom. He has been both a socialist opposed to the war in Vietnam and a supporter of the U.S. war against Islamic extremism in Iraq. He has been both a foreign correspondent in some of the world's most dangerous places and a legendary bon vivant with an unquenchable thirst for alcohol and literature. He is a fervent atheist, raised as a Christian, by a mother whose Jewish heritage was not revealed to him until her suicide. In other words, Christopher Hitchens contains multitudes. He sees all sides of an argument. And he believes the personal is political. *Booktrack is an immersive format that pairs traditional audiobook narration to complementary music. The tempo and rhythm of the score are in perfect harmony with the action and characters throughout the audiobook. Gently playing in the background, the music never overpowers or distracts from the narration, so listeners can enjoy every minute. When you purchase this Booktrack edition, you receive the exact narration as the traditional audiobook available, with the addition of music throughout.